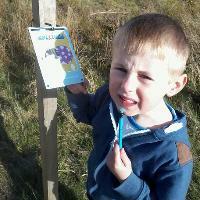 Explore Brockholes, find the themed markers, complete the challenge, have fun together! Brought to you in partnership with British Orienteering, Xplorer is the perfect outdoor activity to get the whole family outside in the fresh air together! Challenge 1 - The markers you need to find are located on or next to surfaced paths and is pram friendly. The markers are in number order and form a circular route and is perfect for those who are new to Brockholes or to orienteering or those with younger children. Challenge 2 - The course represents more of a challenge and you will need to use your navigation skills to track down the markers located across the reserve! Not suitable for prams. No need to book, just pick up your map pack from the Welcome Centre located on our floating Visitor Village from 10.00am to 3.00pm. Map packs are £3.00 and include a map (either challenge 1 or challenge 2), an answer sheet, a Brockholes pencil and on completion, a certificate, a sticker and a sweet treat! Please come dressed for the weather conditions wearing sturdy footwear. This is an outdoor activity.